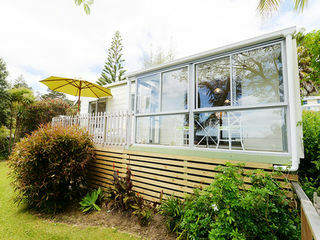 Tui Cottage is situated at the quiet end of Coopers Beach, with sea views and a short walk to the beach. Ideal for swimming, with no rips and a shallow beach, and great for fishing. Dogs are allowed in the house, but not on beds or furniture. This charming old villa is completely refurbished and modernised, but retains lots of its original charm and style. 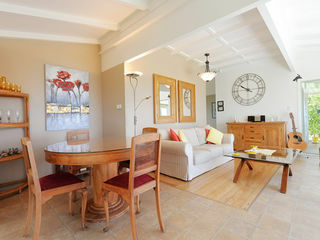 Decorated and furnished to a very high standard by a professional interior designer. Dogs are allowed in the house, but not on beds or furniture.